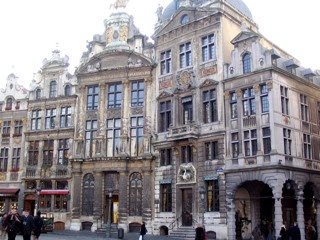 I have visited Brussels both privately and profession- ally for the last ten years. In this period I have visited such a great number of restaurants, and I do not know whether all of them still are in business. 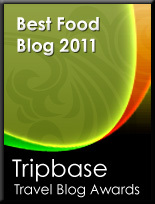 This is an account of the restaurants I have visited and that I know are running. In the house at the extreme left, you find the famous restaurant Maison de Cygne. If you want to eat here, you have to pay up. Still Brussels is definitely the place to eat well relatively cheap. But you have to know where to go. And remember - stay away from the tourist traps!! As a word of warning, though - many restaurants in the central area really are tourist traps, and do not fall for their agressive marketing. You are paying a good deal more than necessary for food that is not representative the best of the Belgian capital. This is particularly the case of Rue de Bouchers and the Grand Place itself. But also here, you can get good food. You just have to know where to go. Close to the Bourse and Cirio, you find Falstaff, a wondeful art nouveau restaurant that has been in business since 1903. A few years ago, the restaurant was beautifully restored, back to its former glory. Falstaff offers traditional Belgian cuisine and a great interior. Try a Waterzooi or Vlaamse Stoofkarbonnaden, served with pommes frites. Or you may choose a Salade Liégoise, a salad with green beans, lard, onions and vinegar. And what to drink - what about a Leffe Blonde, Duvel or a Grimbergen Blonde? Falstaff offers a great Brussels experience - and expect to leave satisfied, filled up and a little tipsy - the way to leave a good Belgian meal. If you want to enjoy great seafood, take subway 1a/1b to the Place Saint Cathérine, or walk down - it only takes 10 minutes from Grand Place. When my best friend, Ketil Johan Zahl, visited me during my stay in Brussels in 1999, we had the greatest seafood meal ever, for a ridiculous price of 2000 BEF (€50), including aperitif, entree, two main dishes (! ), dessert and 1 litre / 1/4 gallon of great white wine. We ordered oysters (Ketil), foi gras(me), cold, boiled lobster with salad and two mayonnaise based sauces, then two baked lobsters with whiskey and champagne and how we struggled at the end - a Belgian chocolate gateau. 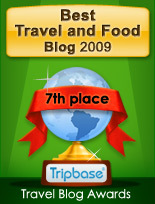 I have returned twice since then, and the restaurant serves great food, still the meal 8 years ago was the best ever. Enjoy Food & Travel highly recommend this restaurant. Great food in the atelier of the famous sculptor Auguste Rodin. Wonderful restaurant in an old basement at Grand Place. The first and only place I have eaten horse meat. Very good and very tender!! Eccentric place to eat and drink situated at the Market square of the Jeu de Bal. I ve been last weekend at the Skieve Architect restaurant,the decoration is very good but the rest of it really bad,the boss a hunchback lady,is really mean,no smile,she hates kids,she whispers every time she passes by a kid,plus jamais des enfants(never kids anymore),the cuisine is very poor,belgian classics without any taste,fake sauces,frozen french fries all dry.....it's a place for old tourists,dont go there.